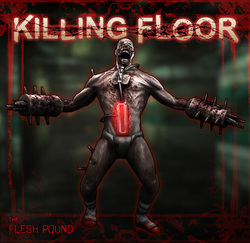 This section is all about Killing Floor challenges, complete these and give us proof and you'll be in our "hall of fame". #4 Beat an entire map using just a 9mm pistol and a secondary pistol. #5 Survive 4 waves on Poundamonium.